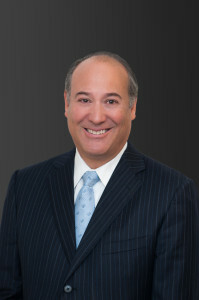 Steven Abramson is an attorney specializing in retail, restaurant and manufacturing clients, often being an integral part of his clients’ senior management. He has played an active role in developing and implementing client strategic plans and his representation has traditionally included not only legal representation, but the negotiation of economic terms. He is currently a partner of Silver, Freedman, Taff and Tiernan, LLP and brings over 25 years of experience in a wide variety of manufacturing, distribution and retail businesses, including, apparel, furniture, jewelry, food, grocery and restaurant. His representation includes both public and private companies. Steven routinely negotiates terms and conditions of all material agreements affecting his clients’, such as distribution agreements, license agreements, franchise agreements, operating agreements, employment agreements, employment handbooks and policies, financing agreements, purchase agreements, leases, site development agreements, construction agreements and related documentation. He has personally facilitated the growth of several national retail chains, through both new stores and strategic acquisition of existing chains, for both retailers and manufacturers doing vertical distribution networks. He also develops and coordinates financing and vendor workouts and restructuring programs on a national basis. In connection with these efforts, he has negotiated accords with all major U.S. regional shopping center developers to both restructure client lease terms or, in the case of underperforming units, terminate leases, often on an amicable basis. Steven not only represents restaurants but is also an active principal in the Medium Rare restaurant chain. Through his own operational experience, he brings a unique understanding and perspective to challenges facing restaurateurs. Steven has lectured on site selection and related real estate expansion programs before the Georgetown University Law Center and the International Franchise Association Expo in Washington, D.C. and is co-author of Strategies for Negotiating Commercial Leases, published in The Franchising Handbook (AMACOM, 1993).